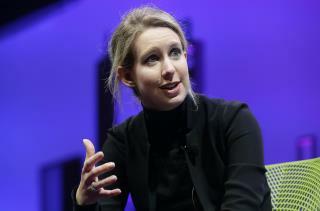 (Newser) – Just when you thought things couldn't get worse for Theranos, this: One of its major investors has sued the company and its founder, Elizabeth Holmes, in an effort to get back its $96 million investment and then some. Partner Fund Management argues "the defendants engaged in securities fraud and other violations by fraudulently inducing PFM to invest and maintain its investment in the company," per the Wall Street Journal. More specifically, Theranos—which said it could conduct blood tests using a single drop—"knowingly and repeatedly lied that they had developed proprietary technologies that worked" and misled investors about its quest for FDA approval and its partnership with Walgreens, the hedge fund says, per Forbes. Henry Kissinger cannot tell a lie! Claw back versus blood from a stone...round one.